Jon Langille is the first Canadian to ride an electric cargo bike 3,000 kilometres on one journey, which is why he was dubbed the Electric Bike Adventurer. 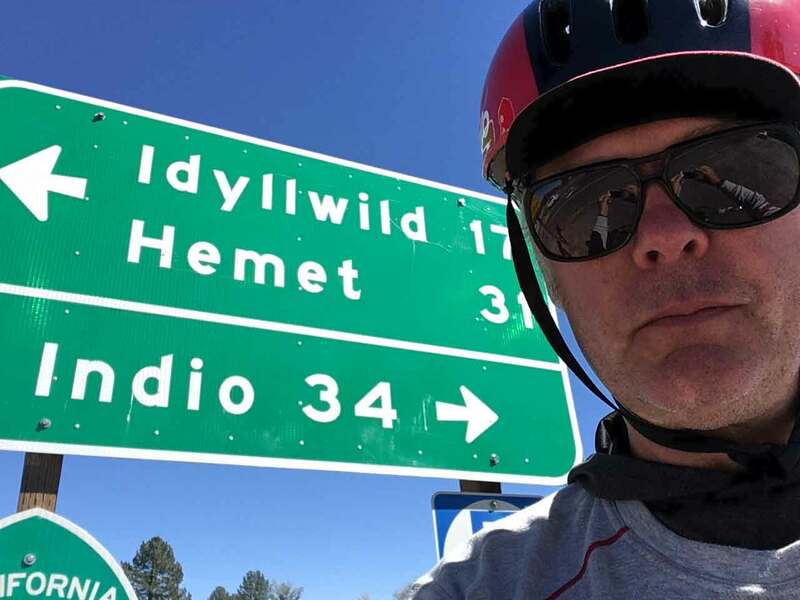 He left his home in Nelson, BC, on Sept 4th and rode a Pedego Stretch electric cargo bike 3,000 kilometres to Indio, California to attend the Desert Trip rock concert that featured the Rolling Stones, the Who and others. He spent 132 hours sitting in the saddle and rode over 19,145m of elevation gain ( more than two Mount Everests) and arrived Oct 7th. He navigated a desert, past lakes, over mountains and through cities until he reached the Coachella Valley of California where he met his wife (who had flown down) and attended the rock concert. The couple flew home again after Jon shipped his electric cargo bike back. We caught up with Jon after he returned to Nelson and asked him a few questions about his trip. Hi Jon. What was the overall highlight of your month-long trip? That’s a really really tough question. I guess it would have to be reuniting with my beautiful wife Laurie for the Desert Trip shows. It was also incredible seeing the concert venue for the first time with the setting sun and desert colour palate in the sky. We snuck into the primo seats for the Rolling Stones and silly danced with thousands of other fanatics, which was great. Plus Neil Young’s 22-minute “Down by the River” was a highlight as was the Who – they gave the fiercest performance of the weekend! 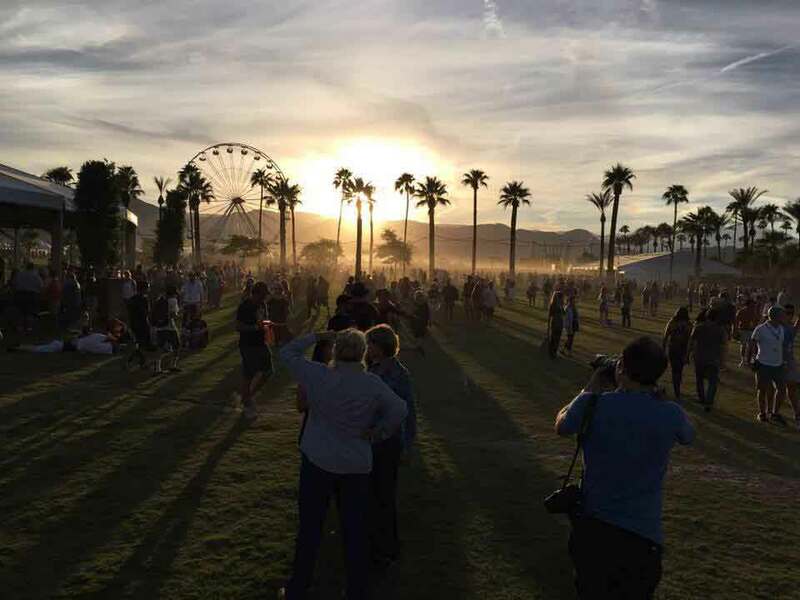 Since I’d been so occupied and thrilled with the ride to Indio, the notion of this amazing weekend was really in the background. When it finally arrived it was a bit of a “Whoa!” experience. To be honest with you everything went so well on the trip (once I got the flat-tire issue sorted out) that the only real challenges were things like finding a good slice of pie. I did find a few but it wasn’t always easy. How did the bike perform? Really well. As I mentioned before, there were some flat tire issues and a few broken spokes but that is typical of any long ride. 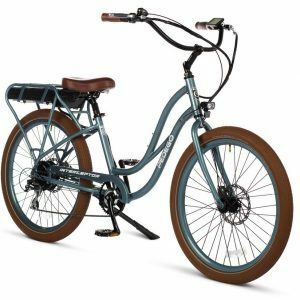 The Pedego itself had zero issues as far as the frame, motor or batteries. It was strong and stable throughout the trip. I kind of expect this bike to be with me on many more trips. Did you make a lot of new friends along the way? A bunch! 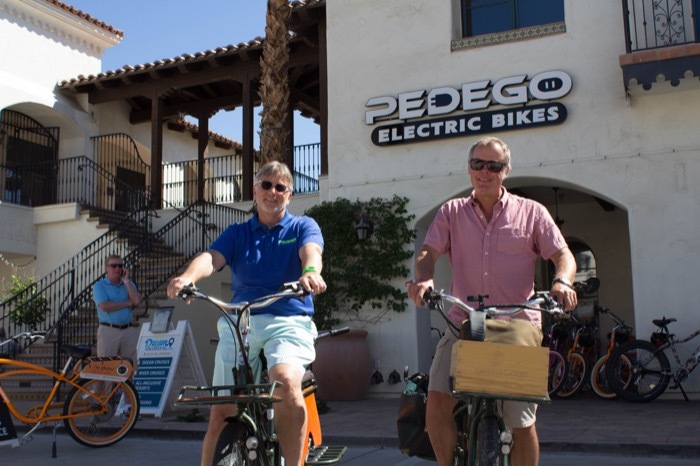 Besides our campmates at Desert Trip I met a lot of sincerely gracious Pedego store owners, all of them real characters and a ton of fun! I expect to see some of them up here for a visit so I can reciprocate their generosity. They all seemed to like the sound of Nelson and they’re intrigued by how Pedego bikes are transforming our streets. And meeting the team at Pedego HQ was a treat – a great and inspired bunch. Besides new friends though, I reconnected with several old friends along the way, several I hadn’t seen in decades. Looking back would you have done anything differently? 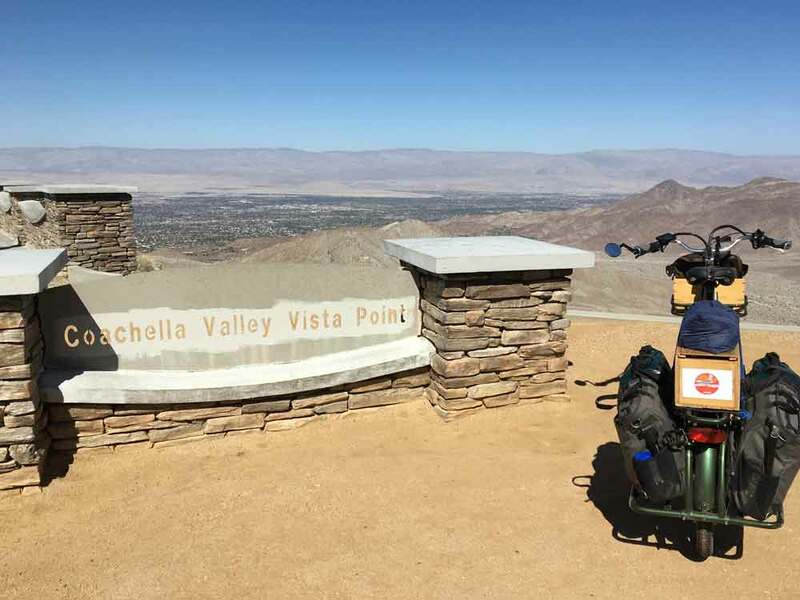 I would have taken one less battery and a few less spare parts – since this type of journey had never been done before on a Pedego Stretch electric cargo bike, we wanted to make sure I was prepared for anything. I was over-prepared. My general packing would be smarter too; quick-dry fabrics, light and compact clothing and not much of it, and a folding cooking pot. I would also plan my route around campgrounds a bit more, if possible. Motel stays get expensive and take away the true independence I like when bicycle touring. Knowing now what a typical travel day looks like on a Pedego, I could plan out a route more effectively. Having said that though, one always needs to be flexible. 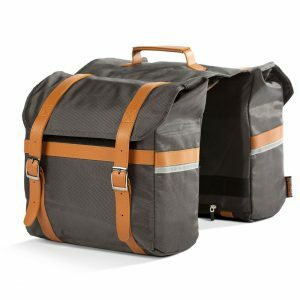 One thing I would really like to do before the next trip is find, or build, the ideal panniers for the Pedego Stretch. Traditional panniers are too small for the task and fit a little awkwardly on the rails. A few other packing features could be improved on as well; something for the spare battery that would keep the centre-of-balance low. Would you do another trip like this again? I intend to. I’m thinking about the Rockies or across Canada, perhaps with the family! What’s next for you? Any more adventures in the works? I’m working with some very cool owners at the Dancing Bear Inn here in Nelson who have some great ideas on further developing mountain bike tourism in the area. I’m excited to get on that project. And after seeing all the great bike paths and dedicated bike trails in the USA, I’d like to study what we could do here in Nelson to make cycling a safer and more viable way of commuting. We’ve got a tight and hilly town but I can easily imagine Nelson being a “bicycle town,” especially now that electric bikes like Pedego are increasing in number. If we could get significant number of Nelsonites out of their cars and onto a bike a lot of our traffic congestion issues would be solved. To learn more about Jon’s journey, included the day-to-day updates, log on to the Pedego Canada Roadtrip page.